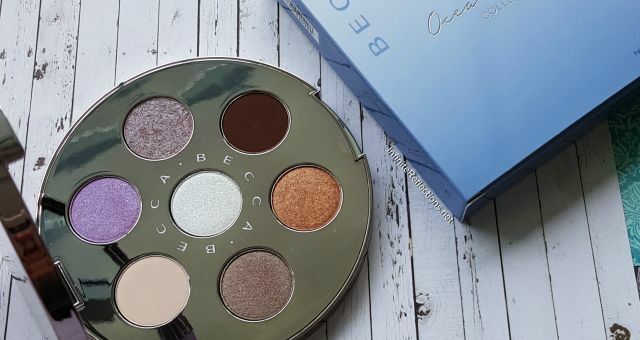 Becca X Jaclyn Hills Champagne Pop was one of the first makeup products I bought, after seeing so much hype on YouTube that how this highlighter flatters all skin tones. It does and I loved this since I got it almost 2 years back. 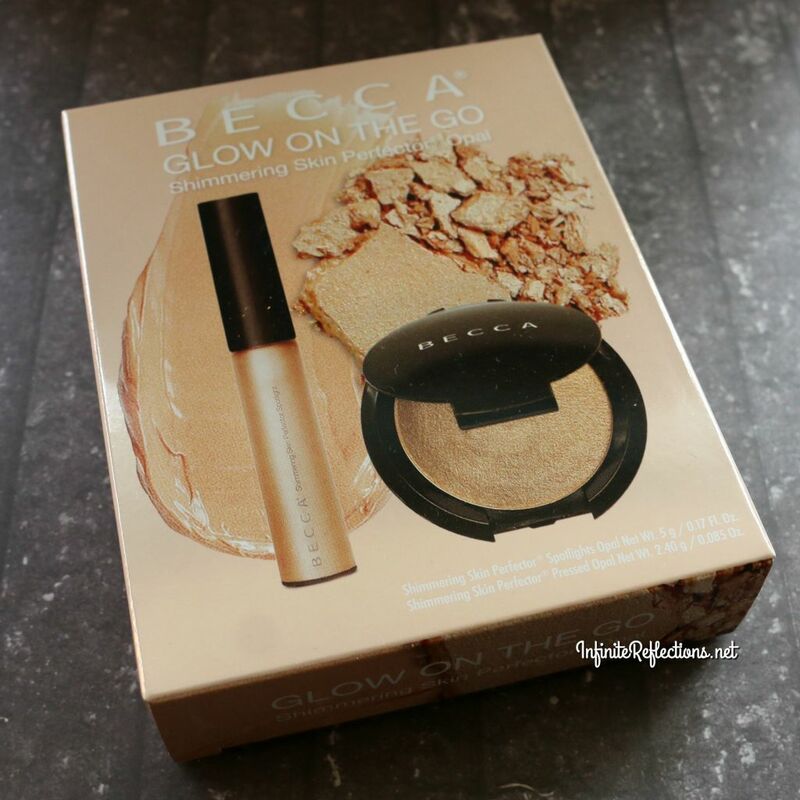 Recently, I have seen a few YouTubers also rave about Becca’s Opal highlighter and how it flatters medium skin tones. Honestly, Champagne Pop and Opal looked exactly identical to me. I didn’t quite get the answer I was looking for when I searched online, so I decided to get Opal too so that I could compare the two. 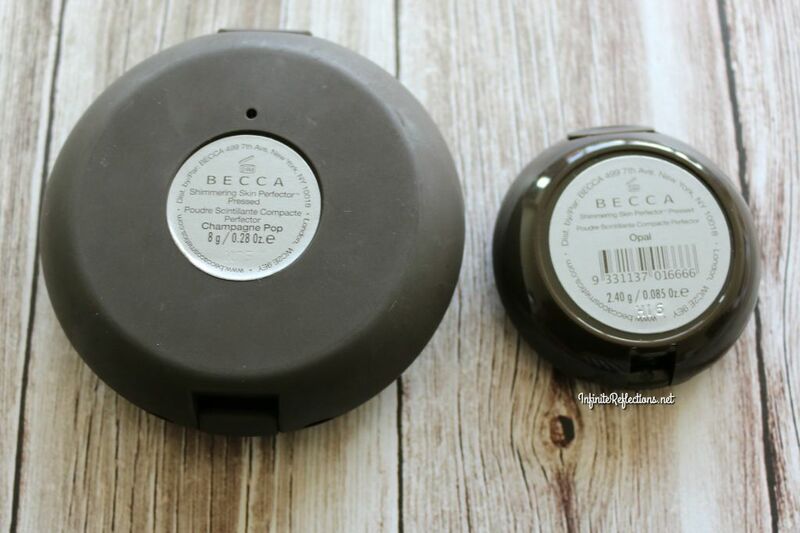 Luckily, I came across Opal-To-Go, which is a mini version of Opal highlighter in both the pressed and liquid form. I was excited and I got it for almost half the price of a full sized Becca Highlighter (not exactly half, but way cheaper). 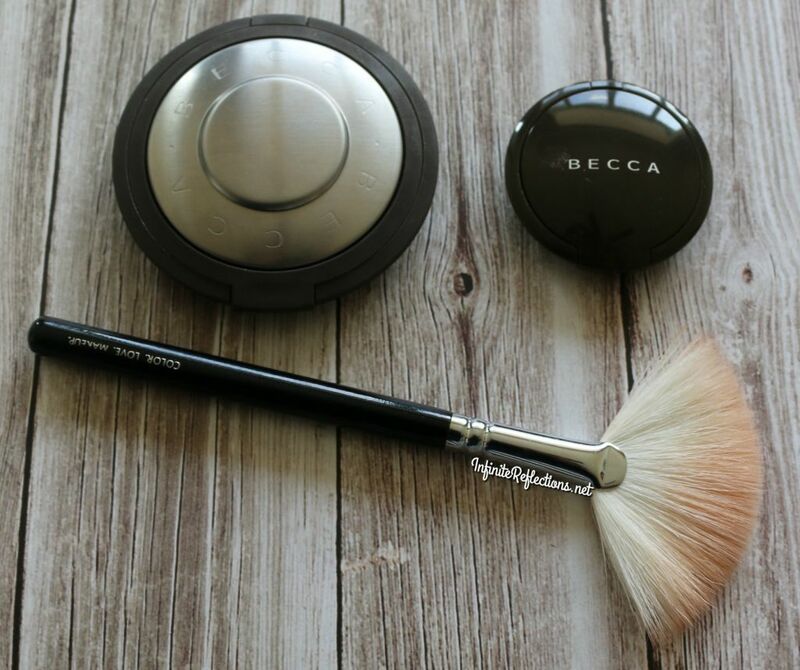 I love the packaging of Becca products and these highlighters are also no exception, just that the deluxe size doesn’t have the classic Becca “saucer” packaging. As you can see below, the deluxe size has 2.4 gm / 0.085 oz of product as compared to the full size which has 8 gm / 0.28 oz of product. I think that the deluxe size has also quite a decent quantity and it’s a real value for money. 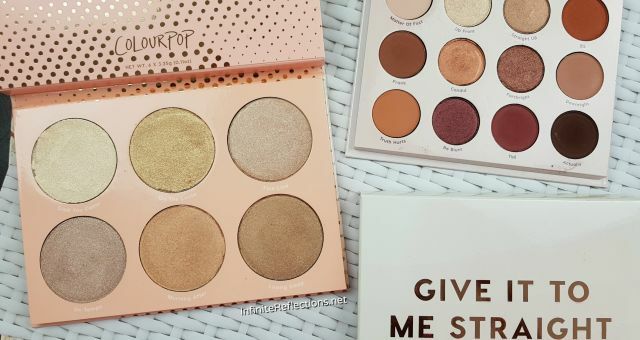 A full sized Becca highlighter costs SGD 58 while this deluxe “Opal on The Go” kit costs SGD 34. 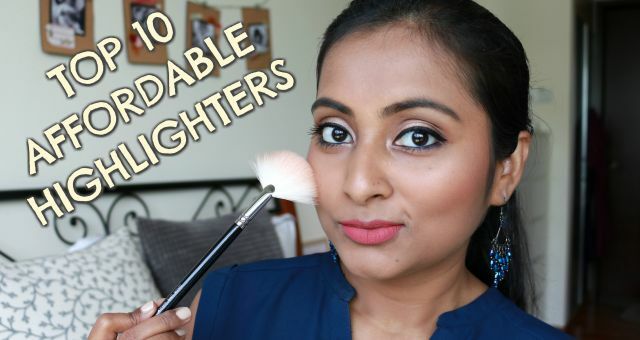 I think that’s an excellent price for a deluxe sized highlighter and also a liquid version, as you get enough product and I am pretty sure that I am never going to fully use up any of them. 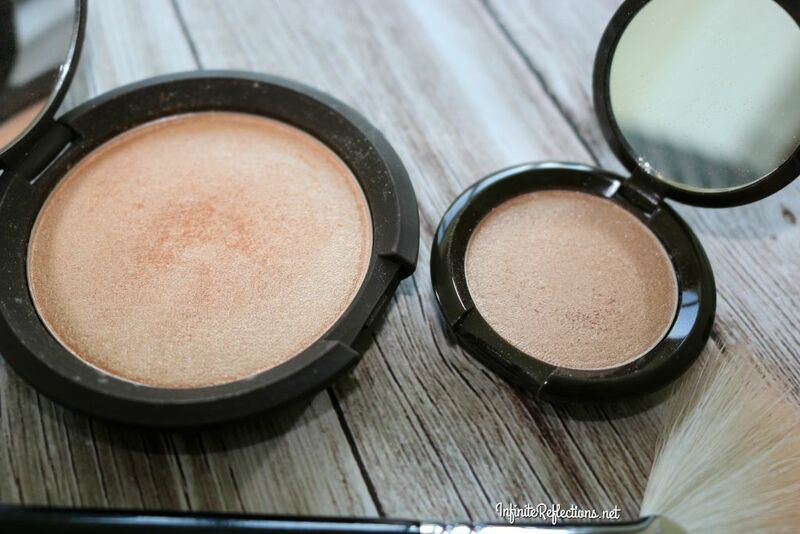 Both the highlighters have very smooth texture and amazing pigmentation. They are absolutely soft and buttery and give even color payoff. 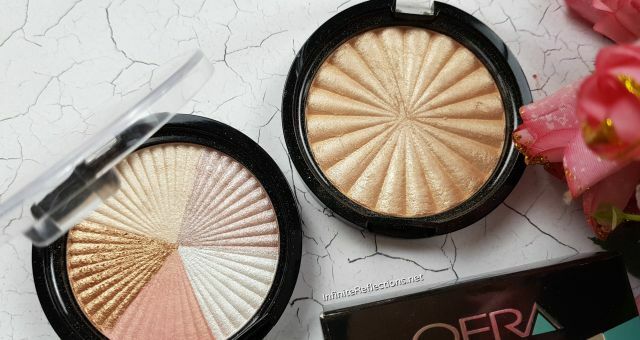 Although, both are extremely pigmented and soft, I feel that “Opal” is a little bit smoother than “Champagne Pop” which sometimes feels a tad bit powdery. But having said that, both are amazing quality. Now, down to the actual comparison. Opal is described as a golden opal pearl. But, to me both are very similar and when applied on my skin tone looks pretty much the same. I would say that both are champagne highlighters but “Champagne Pop” has a little bit more of peachy golden undertones in it. 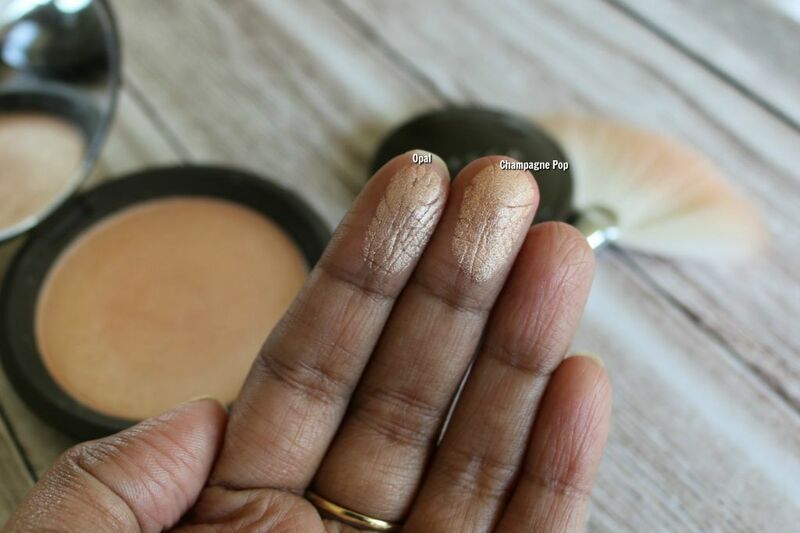 When applied to the skin, “Champagne Pop” looks a little bit more intense and golden. “Opal” looks a little subtle (still intense though) as compared to “Champagne Pop” and looks more meshed together with the skin. But seriously, if you have medium deep complexion you can pick any one of them, they are going to look very similar. You don’t need both of them at all. 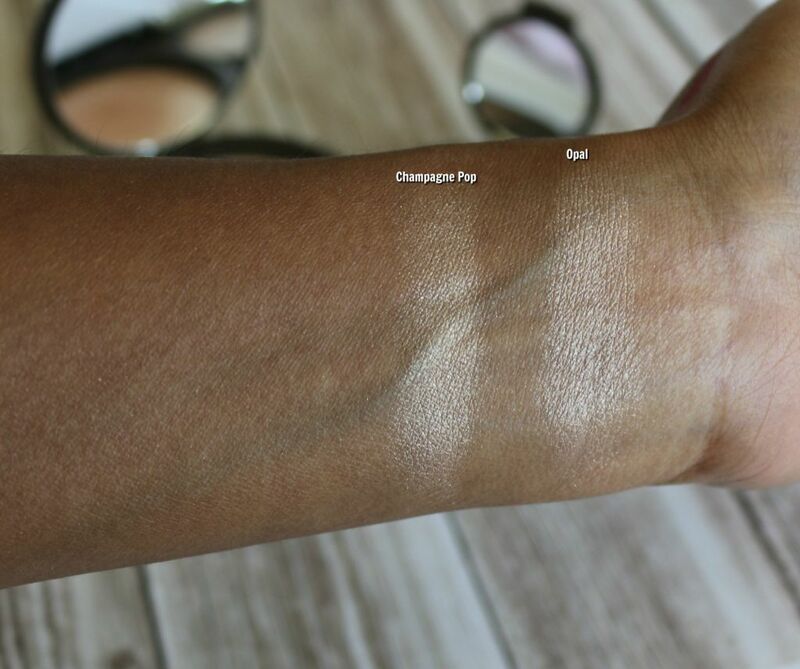 For fairer skin tones, their maybe just a slight bit of difference but I don’t think it is going to be that noticeable on the skin after blending. Here is another picture, where it is more clear that “Champagne Pop” has a slight more peachiness to it. This is how both look applied on the skin. I forgot to take a picture applied on the face and I will update the post soon with both of them applied on the face. That’s it for comparison. You can see that on my skin tone, both pretty much look the same! Brands and their gimmicks… stuff looks different in packaging but same on skin! Is there any difference between the staying power or anything else? Nice. Thank you. I was very confused when I saw the samples in store. I couldn’t even tell which is which under the harsh store lights. Yeah, same here. It’s very difficult to buy sometimes from the stores.. most blushes and foundations look something else at home.. I like campaigne pop more! I have been using maryloumanizer since time forever 😃, I guess a new highlighter in the stash will be a great change. I believe it’s just a matter of different skintone. I am a couple shade lighter than you and both of these highlights look different on me. Champagne pop has a pinkish tint to it while opal is more golden. 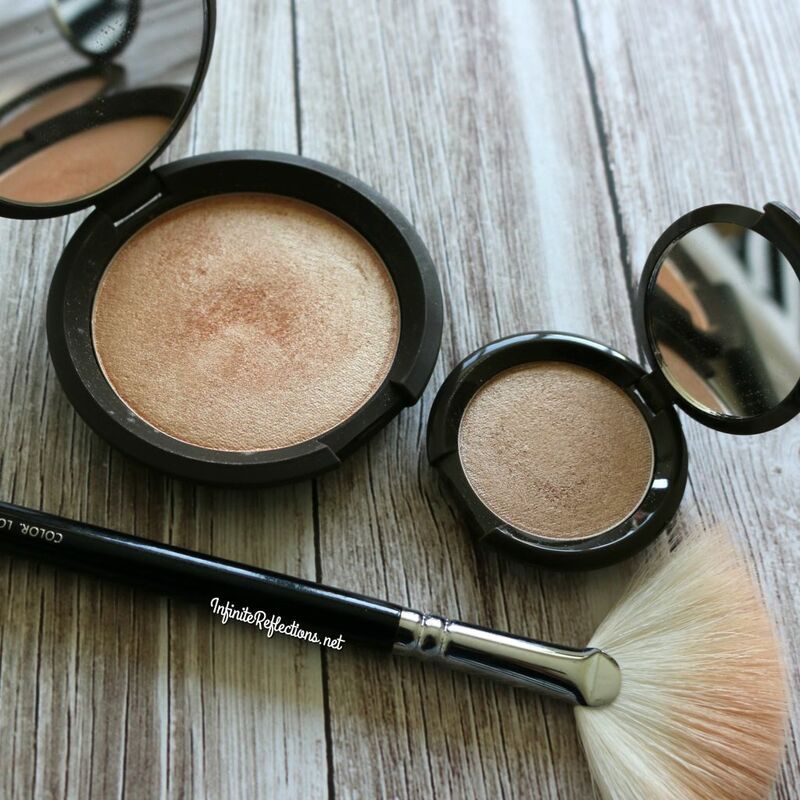 Initially I tired champagne pop and fell in love, however they were out of stock so had to get opal instead. I could tell the difference between them so ended up grabbing champagne pop anywaz. I personally like them both, but champagne is much more flattering.